This is a nice production cel of Crazy Claws and Ranger Rangerfield from the "Crazy Claws" segment of The Kwicky Koala Show (1981). 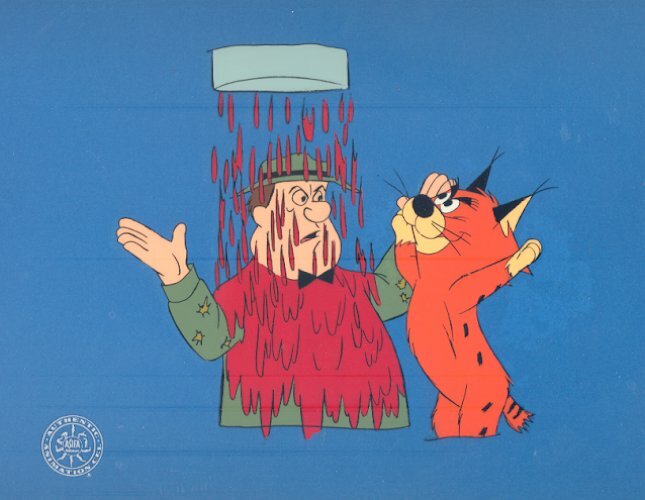 The untrimmed cel measures 10.5" x 12.5" and the image measures 6.5" x 7.5". The streaks visible in the scan are from the scanner and do not appear on the artwork.